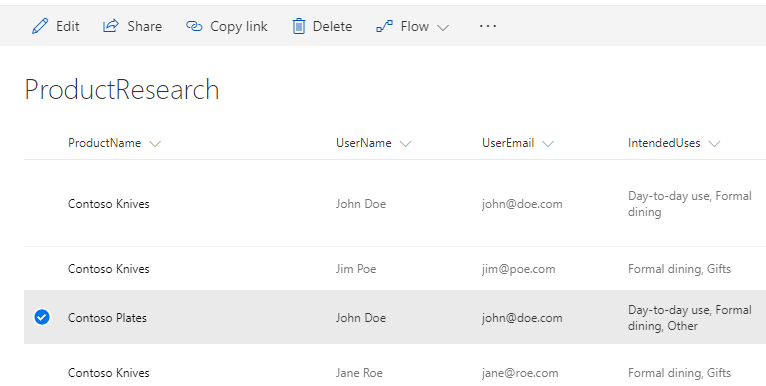 One the current limitations of PowerApps is the lack of support for multi-valued fields – a column in a data source that can take zero or more of a predefined set of values, such as a SharePoint choice column with multiple selections allowed. The Listbox control also doesn't allow multiple items to be selected by default, which is one of the pieces that are missing for that support. In a previous post, I suggested a workaround to allow a listbox to support multiple selection, using a gallery to display the items. While that worked for a specific scenario, it had a limitation of not working within forms (since galleries cannot be added to forms). In this post I'll show another alternative, using a set of checkbox controls to toggle the selection of the possible values. 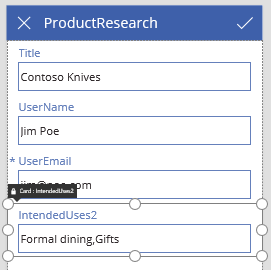 Next, remove the text input control and add checkboxes for each of the possible options for that field, arranging them in a way you want them to be shown to the user. There will be some errors (indicated by the yellow triangle) at this point, we'll get to them later. Will make the update value of that card a comma-separated string with all the selected options. This formula works by adding a "," followed by the name for all selected checkboxes (using Concatenate), and then removing the first character (which will be a ",") using the Mid function. And that should remove the last error from the app. Unlike the solution mentioned in the previous post, using checkboxes to display available options will work in a form. But it won't "look" like a listbox (which is arguably a more "natural" representation for such scenarios). It also requires a change in the data source (using a string column type, instead of a more natural choice column type). But if your scenario really requires this functionality, it can be done. 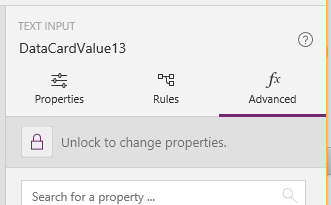 As I mentioned before, this post is an attempt to unblock a scenario that currently isn't possible (at least not easily) to do in PowerApps. I expect it to be made easier in the future, although I don't have information on when that will happen.